An alternative for those concerned about Sodium lauryl sulphate (SLS). 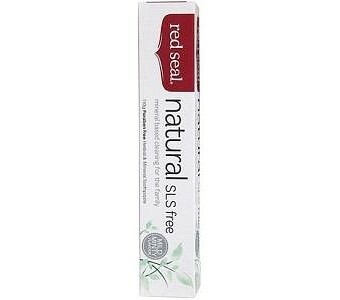 Red Seal Natural Herbal and Mineral Toothpaste SLS Free utilizes lauryl polyglucose to replace SLS, contains no artificial sweeteners and no added fluoride. Natural Herbal and Mineral Toothpaste SLS Free is a natural and refreshing way to clean your teeth. It combines the breath cleansing action of nine herbs with the strengthening and polishing action of selected minerals. Because of its mild fresh taste, this toothpaste is especially popular with children. Note: Non-fluoride. Natural colours and flavours. Naturally sweetened with Stevia. 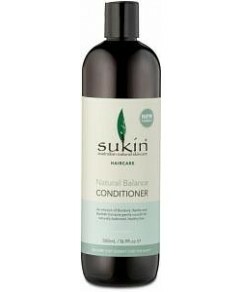 Contains natural herbal extracts and oils. Sodium lauryl sulphate (SLS) free. Fights plaque and decay. Anti-bacterial action. An alternative choice for those suffering from cold sores and mouth ulcers. Must be used in conjunction with regular and proper brushing. Ingredients: Calcium carbonate; Water (deionised); Glycerol; Sorbitol; Lauryl polyglucose; Sodium carboxymethyl cellulose; Magnesium aluminium silicate; Stevia; Hydroxy benzoates; Zinc oxide; Natural flavours, herbal extracts & essential oils (including Aniseed, Basil, Eucalyptus, Clove, Liquorice, Menthol, Peppermint, Rose, Rosemary, Spearmint, Thyme, Orange oil).